FedEx airlifted medical shelters and relief supplies to Africa to help combat outbreak of Ebola Virus. 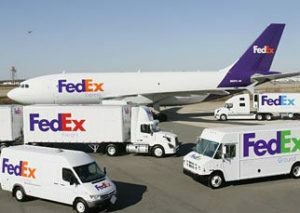 FedEx shipped nearly 30,000 pounds of shelters and supplies for International Medical Corps from the FedEx Express world hub in Memphis, bound for the Democratic Republic of the Congo. The shipment is part of an International Medical Corps’ emergency field hospital that’s maintained at a Memphis warehouse in collaboration with FedEx. “With confirmed cases of Ebola Virus now in a densely populated urban city, the race to contain the deadly virus has become more urgent,” said Nancy Aossey, president and chief executive of International Medical Corps. “FedEx is making it possible for these critical supplies and equipment to be quickly delivered to our team in Kinshasa, allowing us to kick our lifesaving response efforts into high gear at a time when it is needed most,” Aossey said. World Health Organization officials were revising upward, to 100-300 cases, the number of Ebola cases anticipated in Democratic Republic of Congo in May-July. Reuters said Congo’s Health Ministry on Monday reported up to 54 cases of Ebola causing 25 deaths. Ebola is transmitted through bodily fluids. A West African outbreak from 2013-2016 killed 11,300, Reuters said. “I know I speak for the more than 425,000 FedEx team members around the globe when I say our thoughts and prayers are with those who continue to be affected by this crisis,” said David L. Cunningham, FedEx Express president and chief executive officer. The shelters are intended to be used for screening, referral and isolation units.